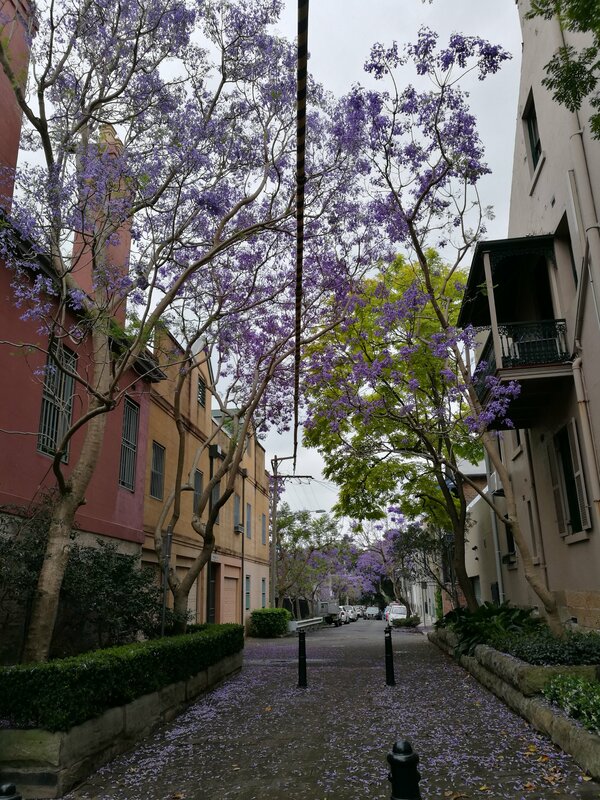 It’s pretty amazing that a single specie of tree can define a city and do so in such a spectacular way as the Jacaranda of Sydney. I’ve read and seen those glorious trees in newspaper articles and photos, but seeing them in real-life was like Alice venturing through the looking glass, except without the hallucinogenic effects and tea party. The weather wasn’t great when I arrived on a recent Sunday, but it wasn’t raining. Even on the way from the airport, I was awestruck as I caught glimpses of bluish purple flashes as the car passed through several neighbourhoods. Obviously, I had to seek them out for myself. 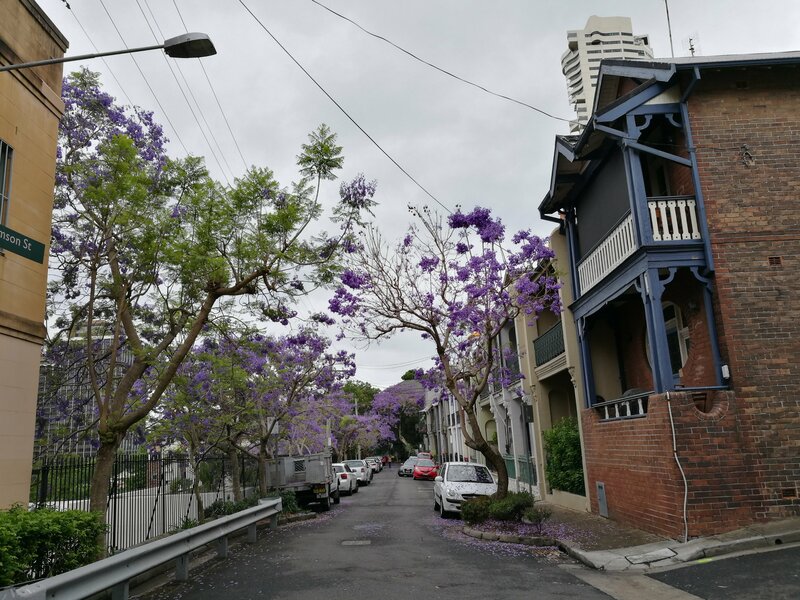 My journey started next to Sydney’s iconic Darling Harbour and took me through the city’s Central Business District, pass the magnificent ancient figs in Hyde Park and on to the residential hills in Darlinghurst. 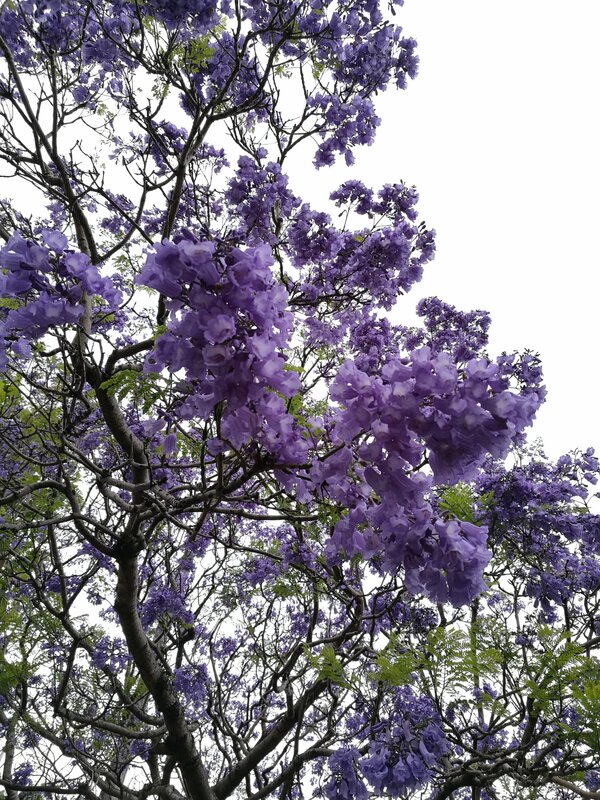 It was a good walk, but the Jacarandas along the way made it just so much better. I caught sight of the first tree after a random turn as I exited the hotel. 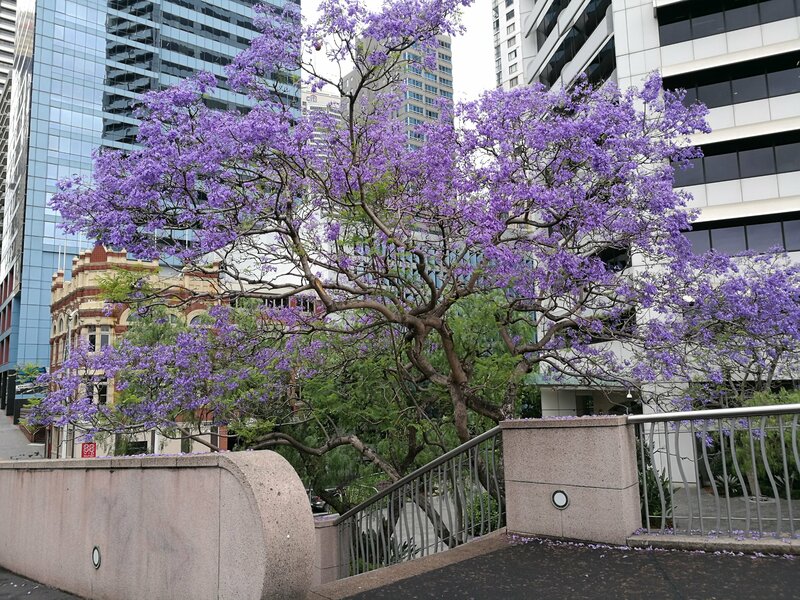 Growing next to a foot bridge that crosses the harbour, the tree was beautiful with its purple flowers, all the more so because the elevated walkway offered a close up view. 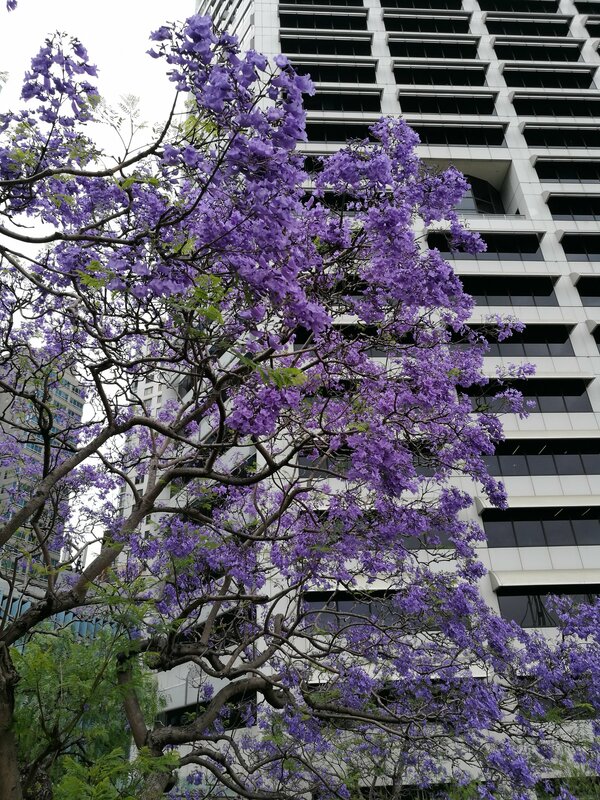 From there, my walk was guided by Jacarandas. I simply went from one tree to the splash of purple I could see on the block. Tree to tree to tree. The highlights of the day had to be the row of Jacarandas in full bloom outside the Victoria Barracks on Oxford Street. Quaint and charming, Thomson Street looking from Burton Street was also magical. …as was Riley Street looking down from the lookout point from Oxford Street. Just as an endnote. 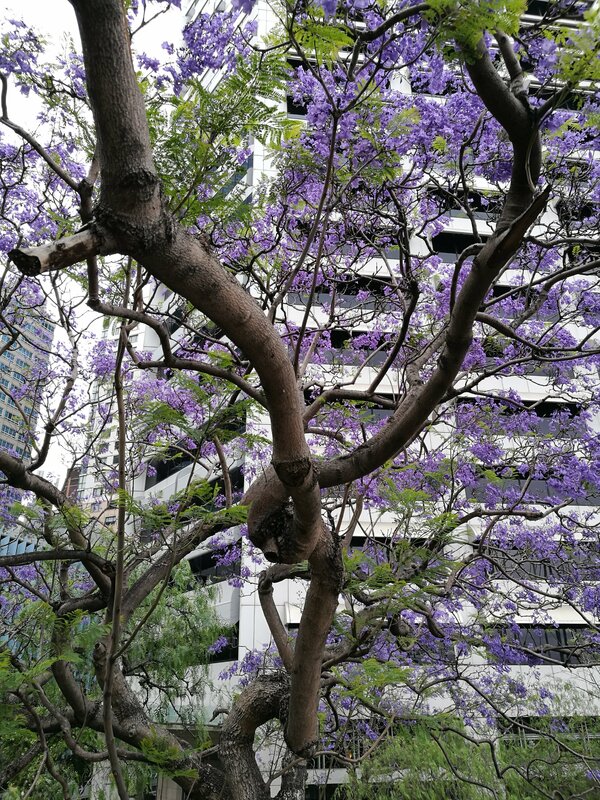 There are Jacarandas in Hong Kong as well. There is at least one in Victoria Park – near the Causeway Bay entrance just besides the grove of Flame trees, and one grows on the ‘island’ that form the branching of Queen’s Road East and Hennessy Road. There are also a couple of individuals growing inside the campus of the University of Hong Kong. 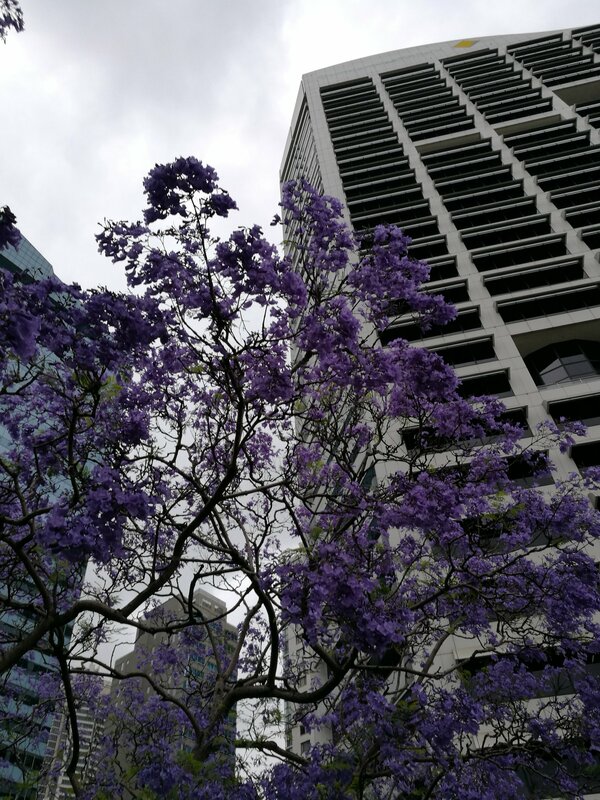 But none of the Jacarandas in Hong Kong offers the spectacle as their peers in Sydney. Here, blooms are limited to the tip of the branches with mere hints of their glorious potential.